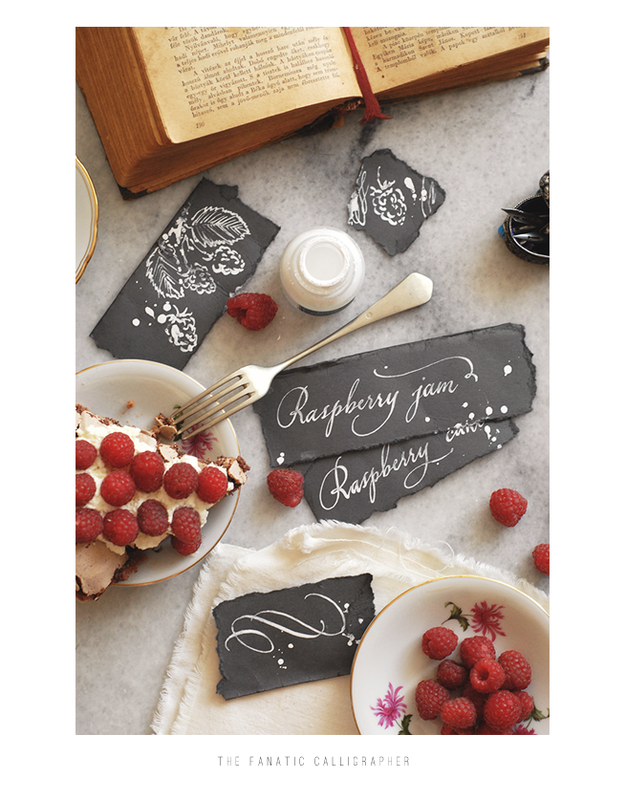 The little black labels with calligraphy and doodles done with white ink perfectly accentuate the ruby hues of the raspberries and they have a summery feel, reminding of tiny chalkboards. This is a really effortless DIY project. We used scraps of old black cardstock, white pigment ink and of course, a dip pen and nib. Be cautious when you write and draw with white inks as dirty nibs can spoil your white ink at a glance. We recommend dedicating a set of pen holders and nibs solely for the purpose of using with white inks. This lovely opaque white ink is available in our online store at The Fanatic Calligrapher website. 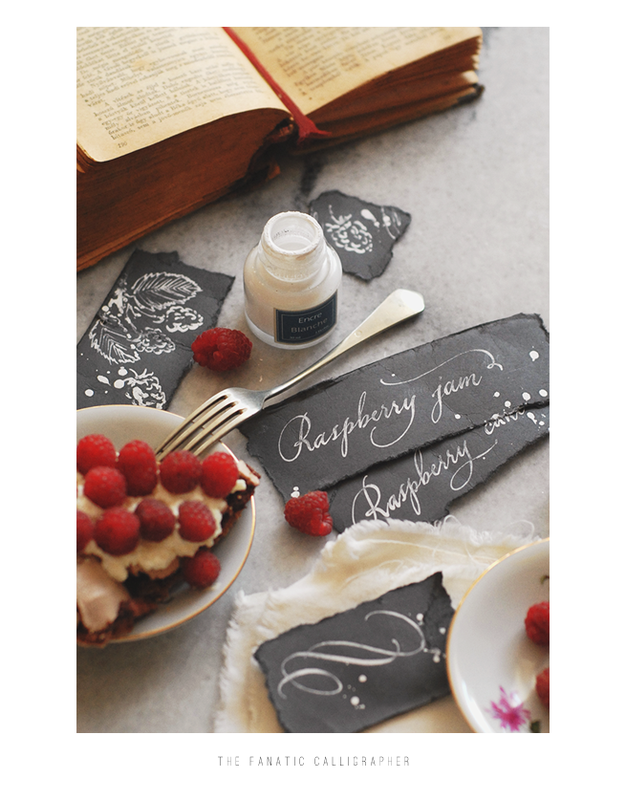 Be brave with your flourishes and drawings to create a rustic charm for your next summer party. 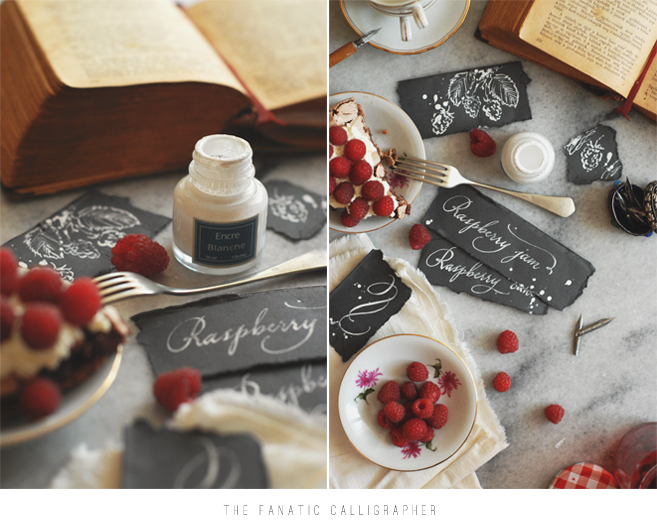 Visit The Fanatic Calligrapher's profile on Pinterest.